Ensure your customers and employees have fully stocked restrooms. 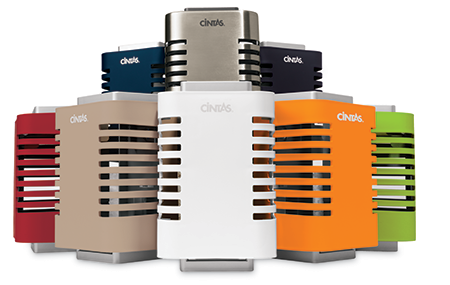 Cintas' environmentally-friendly automated and manual restroom dispensers provide a peace of mind for businesses. 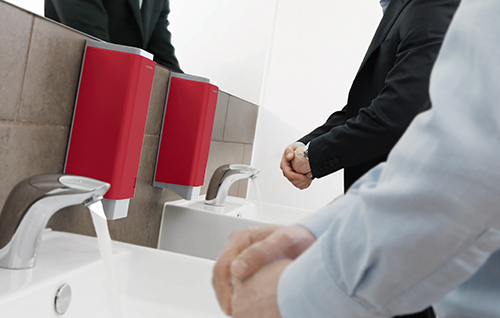 With drip-free systems, precise dispensing, and paper-free urinal and toilet cleaners, your bathroom will stay cleaner with fewer checks leaving your employees more time to conduct business. 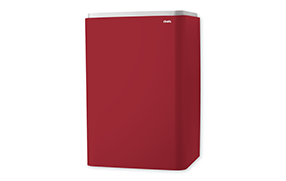 With Cintas' Signature Series® consistent style and nine vibrant color choices, you can make sure your bathroom stands out from the rest and still look professional and well-designed. 70% of visitors rank a clean restroom as extremely important. 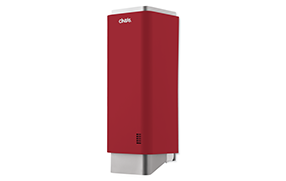 * With one push of the manual hand soap dispenser pump you get exactly 0.4 mL of either rich, moisturizing foam soap, antibacterial foam soap or hand sanitizer. Users don’t waste soap and water working up a lather because of the precise amount of soap dispensed and the concentrated consistency of the foam. 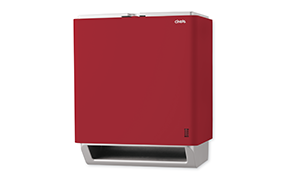 80% of restroom users rank the cleanliness of a restroom based on the availability of hand towels. 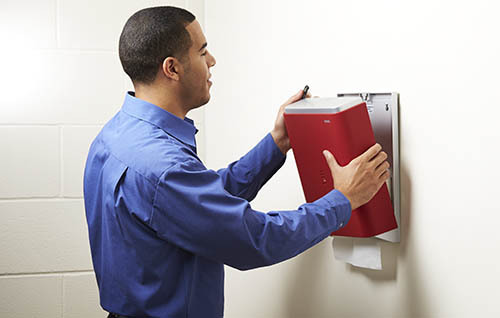 * Cintas’ multifold paper towel dispenser service offers a managed program which means fewer trips to the store and no time spent placing orders or storing and managing inventory. 95% of visitors will avoid an establishment in the future if they found the restroom to be dirty. 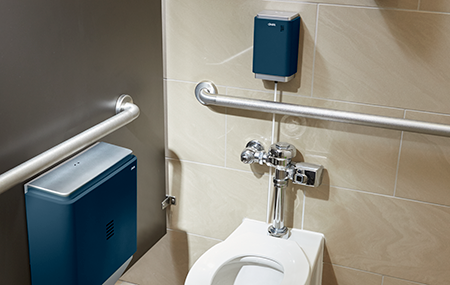 * Keeping a sanitary and safe restroom is important for business, and Cintas can help. 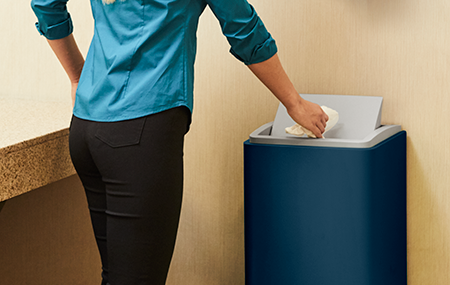 Cintas trash cans promote a clean and professional image, and Cintas backs it up with trusted service through our managed clean restroom program. 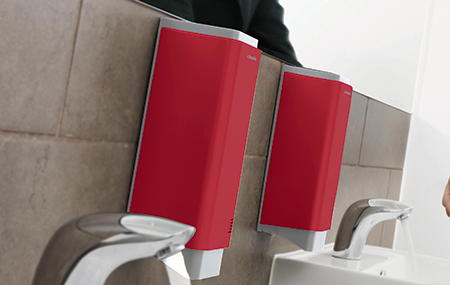 76% of restroom users rate the cleanliness of restrooms based on the availability of soap. 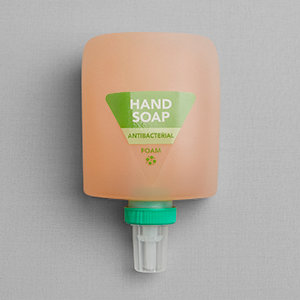 * Just place your hand under the automatic hand soap dispenser and you get exactly 0.4 mL of either rich, moisturizing foam soap, antibacterial foam soap or hand sanitizer. 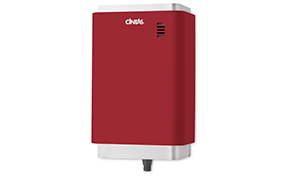 Users don’t waste soap and water working up a lather because of the precise amount of soap dispensed and the concentrated consistency of the foam. 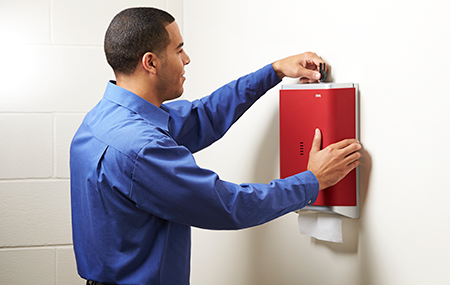 Having fully-stocked paper dispensers is one of the top 10 users’ expectations of a clean restroom. 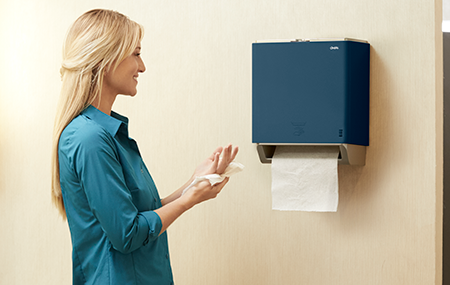 * Cintas’ automatic paper towel dispensers are a unique, paper-saving machine. 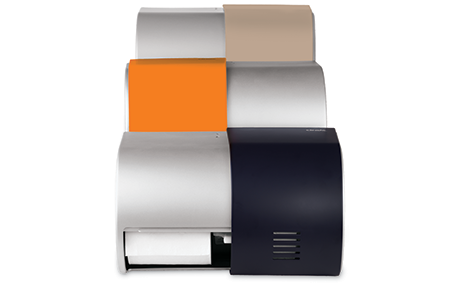 The dispenser is equipped with customizable dispensing options that allow your business to control how much and how often paper is provided. 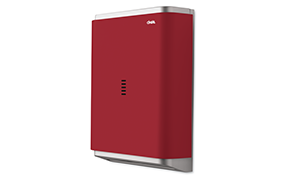 It features a built-in delay between hand-waves to limit unnecessary dispenses and a waste-saving feature, so the second sheet is 25 percent shorter than the first on consecutive hand-waves. The fragrance of a conventional air freshener dispenser diminishes during the life of the refill. 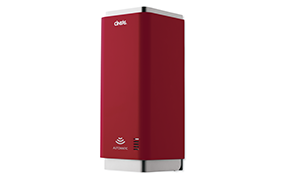 With this revolutionary solution, the strength of the fragrance remains constant throughout the 60 day refill life. One refill of Clean Breeze and Citrus Mango can cover an area up to 3,000 cubic feet and Citrus Slice can cover up to 6,000 cubic feet. 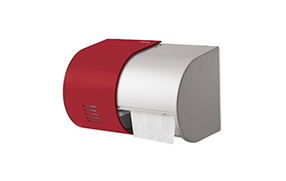 Availability of toilet paper is the #1 measure of restroom cleanliness (85% of users agree). 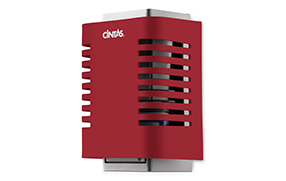 * Save time and money using Cintas’ toilet paper dispenser service. Benefit with a managed program, which means fewer trips to the store and no time spent placing orders or storing and managing inventory. Paper toilet seat covers can be messy and inefficient, and can contribute to trash on the floor of restrooms. At Cintas we recognize the importance of a safe and clean restroom. 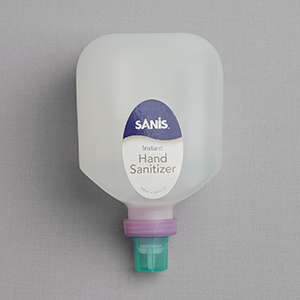 Cintas’ toilet seat cleaners provide a gentle foam cleaner that is more hygienic than paper seat covers, and reduces waste associated with covers that can cause plumbing or slip and fall problems. The specially designed toilet seat cleaner formula evaporates instantly with no irritation to skin. 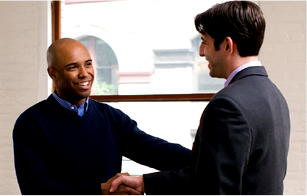 Our managed program delivers the product you need when you need it so you can focus on growing your business. 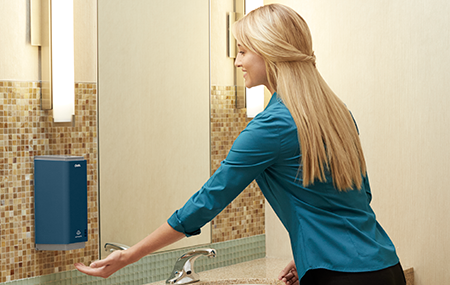 Studies show that customers and employees prefer a bathroom that smells fresh. Our urinal and toilet sanitizers work proactively to protect your toilet plumbing and attack restroom odor at the source. 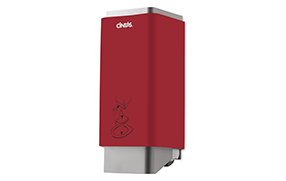 It continuously releases fragrance and chemicals directly into the fixtures to help you keep your urinals, toilets, and drains efficient, clean and bacteria-free. A clean restroom not only protects the users’ health and saves money, it also leaves a powerful impression on your business. That’s why Cintas distributes environmentally-friendly, effective industrial soaps and cleansers. ZEP Shell Shock abrasive industrial hand cleaner is formulated to remove stubborn industrial soils. Shell Shock leaves hands clean and comfortable even after the roughest jobs. It has a pleasant, light apple spice fragrance and environmentally-friendly walnut shell abrasive that poses no risk to the water system, unlike plastic-based scrubbing soaps. 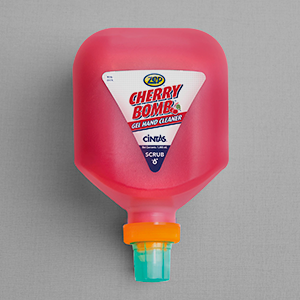 ZEP Cherry Bomb is a heavy-duty industrial hand cleaner, with pumice abrasives that power through your toughest messes. The low odor solvent formula with a mild cherry scent can overcome even the most potent fuel odors. 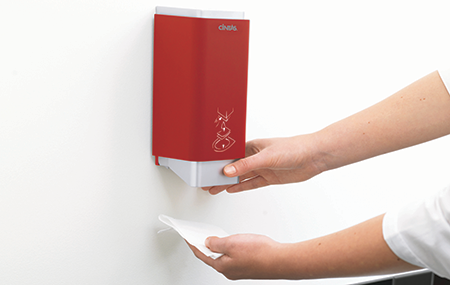 This product protects hands and prevents dryness, so your employees can wash their hands without worry. Request a free quote by filling out the form or calling (250) 448-2451.